The Gauteng Department of Agriculture and Rural Development rejected the Final Basic Assessment that was submitted and requested additional information. The Basic Assessment has been amended and is available for review and comment until the 02nd of February 2015. Any comments should be sent to jitske@telkomsa.net or gwen.theron@telkomsa.net on or before the 02nd of February 2014. The Draft Basic Assessment report has been released for the construction of Polo Fields on the Inanda Fields Property. This was an agreement reached when Inanda Club sold the property to Century Properties. The report dismisses the presence of red data or endangered species on the basis that the photos taken do not indicate their presence. No on site investigations have been conducted. These species have been confirmed in the area and are recognised in a number of ecologist reports done for adjacent properties and those within a 2km radius. The proposed Giant Bullfrog habitat, on the southern corner of the property, was currently part of a doctoral study undertaken by Caroline Yetman from the University of Pretoria. It is for this reason that we’ve appointed both Caroline Yetman and Vincent Carruthers to make suggestions regarding the protection and conservation of the Giant Bullfrogs and to compile an Environmental Management Plan (EMP) for this specific site. Please refer to Appendix E for the comments from Caroline Yetman and the EMP from Vincent Carruthers. 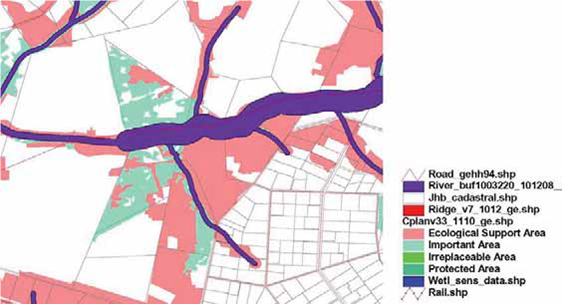 The report identified an important corridor to the river / riparian zone for bullfrog movement. The river / riparian zone is shown in the top left of this photo. No obstructions are identified between this corridor and the study site, indicating that the bullfrogs currently have free movement to and through the study site. The presence of breeding African Grass owls is confirmed in the conservancy and has been reported to GDARD. Dr. Theron also handled this application (Blue Hills X74) [Annexure A] and has full details of their presence. Residents have also reported seeing African Grass Owls on the study site. b) local ornithologists with expertise on African Grass Owls, namely Geoff Lockwood and Dr Craig Whittington-Jones (GDARD), be consulted as part of the EIA process.” [Annexure B]. We therefore request that a amphibian study and avifauna study be conducted to investigate the presence of these endangered and threatened species. African Hedgehogs are also regularly seen in the area and an ecologist should visit the site to investigate their presence. The site constitutes Egoli-Granite grassland which is an endangered vegetation type. This should also be investigated on site by a specialist. 2. 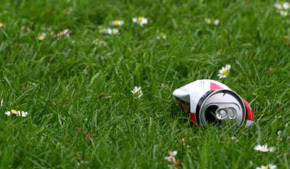 The BAR is misleading in terms of what is being applied for and the environmental value of the site. c. The report states that 50% of the site is bare soil, however photographs and satellite imagery clearly show the erosion occurring on only a small portion of the 67 h.a. site. Rehabilitation of this disturbance should be considered in the document. d. The No-go option is dismissed implying that the site will further degrade if a polo field is not built. The site is currently used by a number of recreational birders, mountain bikers and horse riders from the area and Inanda Country Base and is located in the Greater Kyalami Conservancy (GEKCO). Consultation with and cooperation with these parties could result in rehabilitation and better management of the site and preservation of the Egoli Granite Grassland, Red data and threatened species (African Hedgehog, African Bullfrog, African Grass Owl) while allowing for sustainable equestrian and recreational use. 3. The consultant’s summary does not mention many concerns raised by I&APs. The summary given in the BAR does not mention environmental concerns at all. These were raised previously by GEKCO and other interested parties. Concerned about Security in the area and that there are already a large number of vagrants in the area. Concerns about the development of the property versus the polo field only. The site is considered an important area in terms of the C-plan and forms part of an important wetland / riverine system feeding the Diepsloot and Jukskei rivers. Wetlands on site should be rehabilitated. Soil erosion is recognised on a portion of the wetland, however photos downstream show the wetland in good condition. This wetland forms part of an important system running from Blue Hills through to the Diepsloot and Jukskei Rivers. 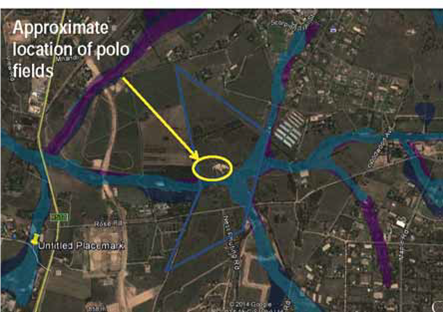 Has consideration been given to locating the polo field outside the 100m buffer? The polo field is 1,8h.a. and the site is 67 h.a. GDARD requirements state that a 100m buffer applies outside the Urban Development boundary. It is unclear why the consultant is requesting the buffer be reduced to 32m.